BIOSTAR introduces its full lineup for the second generation RACING series motherboards under the Intel 200 Series that support the 7th generation Intel Core processors codenamed “Kaby Lake”. 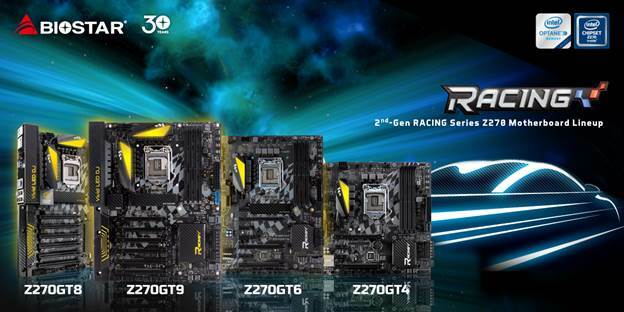 BIOSTAR proudly announces the different level products of the new RACING series family with the introduction of the RACING Z270GT8, RACING Z270GT6 and RACING Z270GT4 motherboards featuring the latest technology from BIOSTAR inspired by the quest for the best in gaming features. 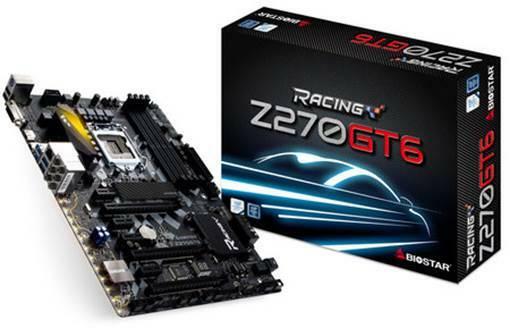 The BIOSTAR RACING series Z270 motherboard lineup brings a new level of gaming experience and performance-oriented motherboards to gamers and enthusiasts. The BIOSTAR RACING Z270GT8 supports LGA1151 processors and DDR4 memory modules up to DDR4-3600Mhz speeds and 64GB capacity. The BIOSTAR RACING Z270GT8 has the integrated M.2 Cooling Protection by BIOSTAR which cools down M.2 devices and effectively maintain optimal performance. 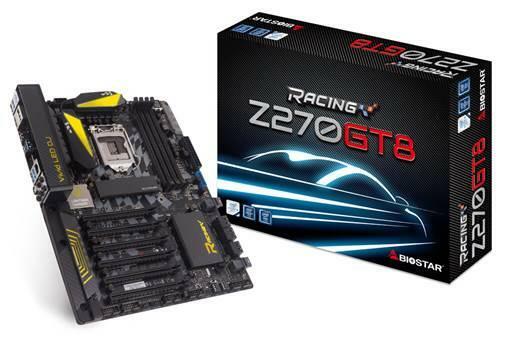 The BIOSTAR RACING Z270GT8 will be available as a bundle with the Intel 600p 256GB M.2 SSD with an MSRP of $329. 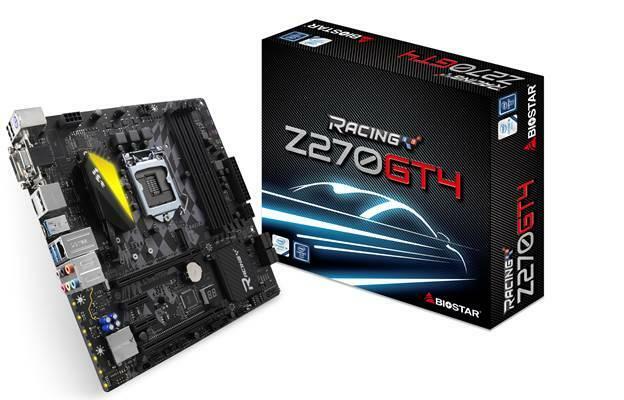 The BIOSTAR RACING Z270GT6 supports LGA1151 processors including Intel 7th-generation Core processors. The RACING Z270GT6 features the flashy VIVID LED Armor as well as the 5050 LED Fun Zone allowing gamers and enthusiasts to fully customize and tailor their rigs for their personal style. Intel LAN offers a robust networking solution guaranteeing incredible network performance for the most demanding online games. 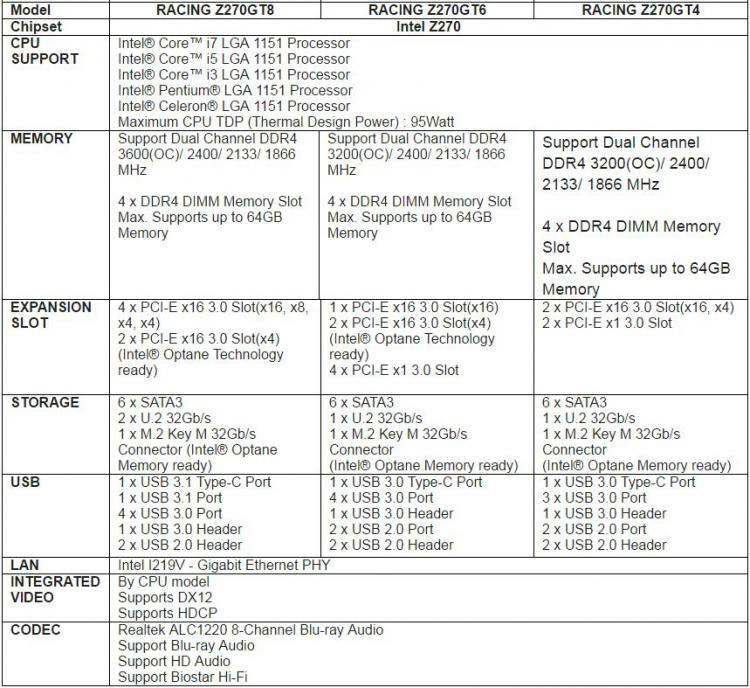 The BIOSTAR RACING Z270GT6 will come with a bundled BIOSTAR G300 Series 240GB SSD and will have an MSRP of $209. The BIOSTAR Z270GT4 also supports 7th-generation Intel Core processors as well as the previous-gen processors but brings support for Intel Optane Memory which is a future-ready feature when the next-generation high-speed storage from Intel arrives in the market. It also features an integrated Dual BIOS. The BIOSTAR RACING Z270GT4 will come bundled with a BIOSTAR VIVID LED DJ fan and will have an MSRP of $129.